This friend was adamant that the AiG article laid out a solid, convincing, biblical, and scientific perspective of why anthropogenic climate change was not real, and thus why any need for policies to mitigate against climate change are completely unnecessary. I promised her that I would read and respond to the article. Pretty quickly it became clear that my response was going to be quite lengthy, so I decided to post this on my blog for the benefit of others, rather than letting it become lost in a soon-forgotten Facebook comment thread. First off, many, many people write articles that seek to dismiss climate change on the internet, so why am I responding to this one? The main reason is that Answers in Genesis is a fairly prominent organization in conservative Christian circles, and as a theologically conservative Christian, I know many people who trust AiG’s content. This lengthy AiG article has the veneer of being a deep dive into the science of climate change, and clearly has convinced at least some conservative Christians that climate change is a hoax, or at least that it’s nothing to worry about. Second, because this article claims that the Bible refutes anthropogenic climate change, I specifically want to speak against that claim. Before I begin my response, allow me to lay out my credentials. I am an atmospheric scientist at the National Center for Atmospheric Research (NCAR), where my field of research is primarily in renewable energy forecasting. I have a Ph.D. in Meteorology from Penn State University. I also have a B.A. degree in Physics from Gustavus Adolphus College. While in high school and college, I was a stalwart skeptic of global warming, but as I learned about the physics of the atmosphere in grad school at Penn State, I became convinced that climate change is real and caused primarily by human activity. I even wrote a blog post about my change of mind on climate change back in 2015. I am also a theologically conservative Christian, and an elder in an Acts 29 church plant in Broomfield, CO (Gospel Life Church). I believe the Bible is the inerrant, infallible Word of God and that it is authoritative on all matters on which it teaches. I believe that Jesus Christ is the eternal Son of God and the only means to salvation from our sins. I believe that the miracles described in the Bible really happened, including the bodily resurrection of Jesus a couple days following His execution by crucifixion. I also see no conflict whatsoever between the Bible and the science behind anthropogenic climate change. One more note about my review below: The AiG article makes a lot of claims and hypotheses surrounding creation/evolution and Noah’s flood. I am not going to comment on or respond to those claims here, except where there is a direct claim made about climate change, as one’s views on creation/evolution really have nothing to do with the veracity of anthropogenic climate change. My purpose here is to evaluate his claims about climate change specifically, as I am an atmospheric scientist, and that is my area of expertise. And with that preamble out of the way, let’s dive in. First, the author is a man named Rod Martin. Who is he, and what are his credentials? The AiG bio of Rod Martin is not terribly illuminating. He’s only written four articles for AiG, and only this one was specifically about science. A LinkedIn profile of a man named Rod Martin who was Senior Director of New Media for Answers in Genesis from 2004–2007 suggests that this is likely the same Rod Martin. That public profile (I’m not on LinkedIn, so I don’t know if he has more details hidden from non-contacts on LinkedIn) states that Mr. Martin has a B.A. from Cedarville University (major not given), and a MACE/MABS from Dallas Theological Seminary. It is not apparent that Mr. Martin has any scientific education, credentials, or work experience that would qualify him as a knowledgable source on the science of climate change. Now into the article itself. I’ll block-quote and italicize excerpts from Rod Martin, and respond below them in regular text. The italicized section headings come from the article, so that you can follow along if you want. This assertion is made without any support. Contrary to Martin’s unsupported assertion, numerous independent studies have shown that the overwhelming majority (>90%) of climate scientists agree that climate change is primarily caused by humans. No, it’s an assertion that on average, the earth’s surface is warming. This allows for the possibility that some regions might experience slight cooling while others warm substantially. CO2 emissions and the health of forests (because of their impact on the carbon cycle) are indeed quite important, but even so, this framing is a rather crass oversimplification of the issues. Also, the political motivations of some have no bearing on the veracity of the science underpinning anthropogenic climate change. The difference becomes when consuming resources or engaging in certain behaviors causes harm and injustice to other people. The Bible has plenty to say about that. This sloppy reasoning confuses a miraculous, supernatural intervention in the physical world with the ordinary natural means by which the physical world operates. What does Martin mean by “efficient” and “green”? I think bringing up ethanol here is a red herring, anyway. This honestly has no bearing whatsoever on whether anthropogenic climate change is happening, what the causes are, or what the severity of its impacts are expected to be. Wait, what?? Again, the tribulation has absolutely nothing to do with the question of the veracity of the scientific evidence supporting anthropogenic climate change. Anthropogenic climate change does not challenge God’s sovereignty whatsoever! There are numerous instances in Scripture of God allowing mankind to experience the disastrous consequences of their actions. Why should climate be any different? Also, several experiments, including a recent field campaign led by NCAR scientists, have in fact shown that we can directly modify the weather via cloud seeding. Also, research has shown that weather is modified by the presence of cities, by changes and boundaries in land use/type, and by other facets of human modification of the environment. There’s a whole chain of wobbly, hand-waving qualitative reasoning and absolutely no quantitative analysis to reach this conclusion. For what it’s worth, ice core analysis shows that current CO2 concentrations are higher now than at any point in the ice core record (regardless of how many years one thinks that covers). Saturation occurs at 100% RH, not 11%. This is embarrassingly shoddy logic. The fact that ice melted at the end of the last Ice Age without any anthropogenic causes does not have any bearing on whether anthropogenic CO2 emissions are today leading to warming temperatures and melting glaciers. Is this due to rising sea levels or due to land subsidence? I honestly don’t know, but the author simply states it’s due to rising sea levels without citing any sources or addressing the possibility of land subsidence. Also, the author tabs the cause of rising sea levels in the last 2,000 years to glacial melt from the last Ice Age, even though by the author’s own estimation the Ice Age ended well before that time. This doesn’t make sense. And furthermore, while we’ve documented just under 1 foot of global sea level rise in the past century, the rate of observed sea level rise is in fact increasing, and under most climate change scenarios is projected to rise between 1.5–4.5 feet by 2100. That’s a notably faster sea level rise than the author’s unsupported claims about the past 2,000 years! When supposedly talking about the science of global warming, it’s… odd… to start out by comparing current atmospheric concentrations of CO2 to mine safety warning concentrations of CO2 to declare that CO2 is safe and therefore not a pollutant. Talk about an exercise in missing the point! The reason that CO2 is classified as a pollutant is not because its rising levels are unsafe for immediate human health, but because rising concentrations of CO2 in the atmosphere are the primary culprit of climate change. This is true, and nobody disputes this. Without any GHGs in the atmosphere, Earth would be an uninhabitable ball of ice with a global average surface temperature of 0°F (-18°C). Current GHGs instead make the global average surface temperature a comfortable 59°F (15°C). This is about 1.0°C (1.8°F) warmer than the 1880–1900 global mean temperature, with about two-thirds of that warming having occurred since 1975, coincident with steadily increasing atmospheric concentrations of CO2 and methane. We know that GHGs help determine the warmth of a planet, and the author even admits it here. So why is there opposition to the idea that adding more GHGs to the atmosphere would cause the planet to warm on average? Again, nobody disputes that CO2 is necessary for plant life, or that increased CO2 is beneficial to plant life. The key question, though, is whether there’s a limit to this effect. 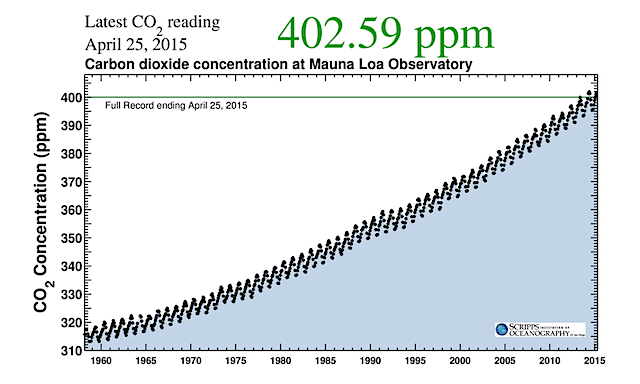 In any case, the atmospheric concentration of CO2 has continued upward unabated for decades, indicating that whatever benefit plants might accrue from the increased CO2 is not anywhere near enough to absorb all the extra CO2 that human activities are pumping into the atmosphere year after year. Also, nobody is advocating lowering CO2 levels below pre-industrial levels (which had been stable for thousands of years! ), but it seems the author is stealthily implying that this is a serious possibility by warning about it. That’s dishonest scare-mongering. Yes, CO2 is exchanged between the atmosphere and ocean. However, temperature is not the only factor that controls this exchange. The exchange is more directly controlled by the difference in partial pressure due to CO2, p(CO2). As atmospheric CO2 concentrations increase, the ocean absorbs more CO2 to achieve an equilibrium balance in that partial pressure. If atmospheric CO2 concentrations were to decrease, then the ocean would be a net emitter of CO2 back into the atmosphere, again, to equilibrate this partial pressure of CO2 in the ocean and air. Also, CO2 reacts with water molecules to form carbonic acid and other products. 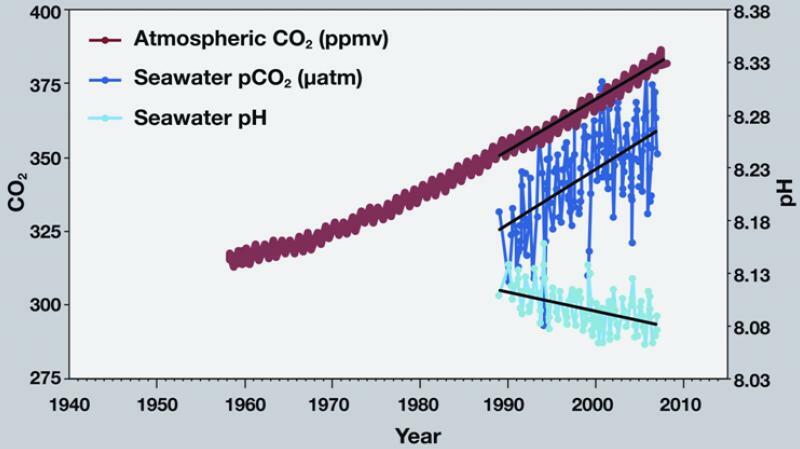 Therefore, as the CO2 content of the oceans has been increasing in recent decades in direct response to the increasing CO2 content of the atmosphere, the pH of the ocean has been decreasing (i.e., the ocean has been becoming more acidic). The gradual acidification of our oceans due to increasing atmospheric CO2 concentrations is a great concern for all the ocean ecosystems that are adapted to what has been a long-term stable acidity. Before ever actually addressing the science behind why CO2 is causally linked to climate change, the author makes this opinion statement, revealing that his primary issue is one of economics, not of science. In an article that is ostensibly about evaluating the science behind global warming, a largely unsupported opinion about economics is both out of place. Also, it seems odd to accuse climatologists of “ignoring the major contributors to the GHG effect” when he himself has so far ignored the impact of CO2 and has not put forth any evidence to support his accusation that climatologists are ignoring things like water vapor and clouds. The Bible is silent about CO2, other than it was of course part of the world that God created in the beginning and called “very good.” God also created the laws of chemistry and physics that create smog when sunlight reacts with emissions from vehicles, which is harmful to human health in high concentrations (just look at cities in China!). So while the world that God initially created was indeed “very good,” human-caused changes to concentrations of various molecules in the atmosphere is not therefore also “very good.” This is terrible logic by Martin. Also, saying that CO2 “is a plant fertilizer, not a pollutant,” is both a gross oversimplification, entirely misleading, and not supported by any analysis of why CO2 is now getting labeled as a pollutant. The author has presented no measurements or data to indicate what he thinks pre-Flood CO2 concentrations were, only hand-waving reasons why they must have been much higher than today. To use this as supposed “proof” that CO2 is not causing global warming today is another example of embarrassingly shoddy logic. The author has not engaged at all with physics of the CO2 molecule, other atmospheric molecules, or radiative transfer, which is to say he has provided absolutely zero evidence that would even cast doubt on the science that supports anthropogenic climate change. Here’s the core science of anthropogenic climate change. Every molecule preferentially absorbs and re-emits electromagnetic radiation over certain wavelength bands, as determined by their physical and chemical properties. The atmosphere, which is mostly comprised of nitrogen, oxygen, and water vapor, plus other trace gases including carbon dixoide and methane, has a wavelength band that is largely transparent to long-wave infrared radiation emitted by Earth’s surface. This is called the “atmospheric window,” and it is a key feature that allows heat from Earth’s surface to be vented into space, allowing the Earth system to maintain a temperature equilibrium. One of the absorption bands of the CO2 molecule is within this “atmospheric window,” however, so as atmospheric CO2 concentrations increase, less terrestrial radiation escapes to space, as more of it is absorbed by CO2 molecules and then re-emitted in all directions. This causes the equilibrium temperature of the earth to warm. Therefore, all else being equal, we would expect to see warmer surface temperatures as CO2 concentrations increase. ” In summary, we have known that CO2 causes the Earth to warm since the 1800s, and those core hypotheses have been repeatedly confirmed in laboratory studies and by observations since then. This paragraph is actually partly correct—but only partly. It is true that the equator–pole temperature gradient is a key feature that leads to the weather that we experience around the globe. A relaxing of the equator–pole temperature gradient by virtue of the poles warming more quickly than the tropics would certainly affect storm tracks. Exactly how is a matter of debate at this time. It is thought that a reduced hemispheric temperature gradient would lead to a slowing of the subtropical and polar jet streams. Some research suggests that this could lead to a wavier jet stream (“Arctic amplification”), which would actually lead to more extreme swings in the weather, including more incursions of the so-called polar vortex into mid-latitudes in winter. And current research is mixed on whether storms like tropical cyclones (hurricanes) would increase in frequency in a warming world, but the research consensus is that a higher percentage of the storms that do form would be stronger, due to warmer air and increased water vapor (due to the increased rates of evaporation that come from warmer air, and the exponentially higher amount of water vapor that warmer air can carry). Most geologists would dispute that anthropogenic climate change is a serious threat that requires immediate action to avert? Really? In the previous section, the only mention of “most geologists” was a reference to most geologists believing that Earth’s global average temperature was significantly warmer at times in the ancient past. That has no bearing on their opinion on current climate change or its severity. There are of course large regions of the globe that have a lower density of weather stations than atmospheric scientists think is ideal. 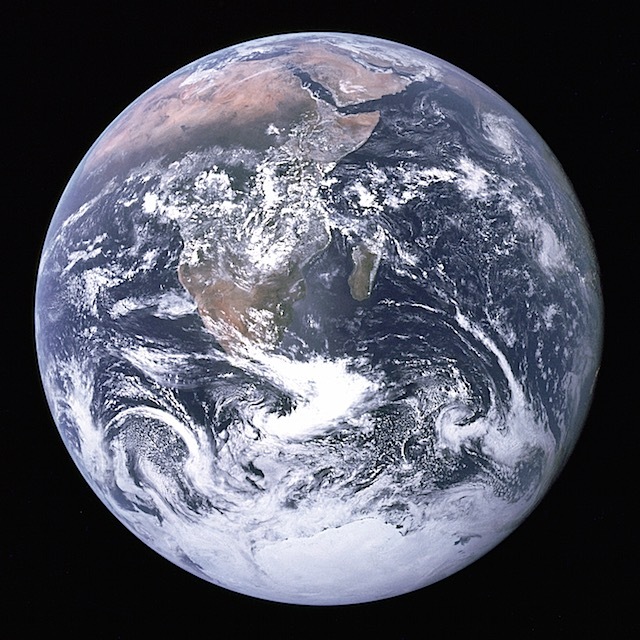 But satellites are a huge aid in increasing coverage of measuring all sorts of parameters, including temperature, all over the globe, including over the oceans. Also, there are numerous floating and fixed buoys and moving ships that report temperature observations over the ocean, so it’s not like scientists are totally guessing at the temperature over the ocean. I mean, sure, ideally we’d have a super-dense network of weather stations over the entire planet. But there are various methods for interpolating or estimating the temperature in regions farther away from monitoring stations, and yet these different methods arrive at remarkably similar estimates of global average temperature. The author never mentions the existence or the details of any of these interpolation methods, and thus does not offer any substantive critique. While there are indeed a number of weather stations that have been sited sub-optimally, the warming experienced by a site over a number of years and decades can indeed be significant and meaningful. And the various independent groups estimating global mean temperature certainly have statistical methods to account for this anomalous warming due to known sub-optimal siting. NOAA addresses this very issue here. This is statement is misleading. The official temperature reported does not have a margin of error of several degrees for the station location. That station’s temperature may of course be somewhat different than another location a few miles away. Does Martin honestly think that climate scientists are unaware of the urban heat island (UHI) effect, and do not take steps to remove it from temperature datasets? There most certainly are statistical methods used to account for/remove the UHI and other statistical artifacts and quality control issues. The author never even mentions the existence of such corrections, much less describes how these corrections work. Thus, he does not offer any substantive critique. Huh?? Perhaps Martin is referring to the existence of time zones, but has he not heard of Universal Time Coordinate (UTC, also known as Zulu time or Greenwich Mean Time), which is the standardized time in which all weather/climate models and observations are kept? Martin spends exactly zero words investigating how global average temperature records are calculated. If he had carefully looked into it, he may well have answered his own question. Instead, this blind suspicion comes off as a lazy effort to cast doubt in the minds of people who also have little familiarity with statistics. Does he really think statisticians don’t have a solution for handling such changes in data density over time? There are great resources that provide helpful information describing how global average temperature is measured, the reliability of the surface temperature record, and also how surface-based and satellite-based measurements of temperature differ, and which of them is more reliable. It is true that for the purposes of climate records, daily mean temperature at a station is calculated by a simple average of the sum of the daily minimum and maximum temperatures. And it is true that this value would be somewhat more accurate if this was calculated from the average of 24 1-hourly temperature measurements on any given day. However, over thousands of days at each of thousands of stations, these small errors in daily mean temperature from simply averaging the daily minimum and maximum temperatures effectively cancel each other out, as the time of day of the passage of fronts or clouds (which can lead to sharp changes in temperature), over the long term, is effectively random. The long-term average “typical day” does in fact have a smooth variation in temperature. Again, these comments show Martin’s unfamiliarity with the subject matter. The author seems blissfully unaware that multiple independent groups of climatologists and statisticians have indeed already thought deeply about these issues, proposed somewhat different methods to handle issues such as interpolation into data-sparse regions, and yet have all arrived at very similar results for global average temperature. At this point I’m just hitting my head into my desk. This is simply ludicrous. The notion of 1°F being the finest unit of measurement is laughable and wrong. First of all, the precision on most standard thermometers is approximately 0.1°C (~0.2°F), and many thermometers that measure air temperature have even greater precision than that. Second, if we convert single digits on the Fahrenheit scale to the Kelvin scale, the range of -9°F to +9°F is equivalent to 250.37 K to 260.37 K. Martin’s argument of there being just one significant digit because of the existence of single-digit Fahrenheit temperatures (never mind the fact that those temperatures are actually measured at least to the tenth of a degree) looks awfully silly now, doesn’t it? Where does this 14°F figure come from?? Also, it’s clear the author hasn’t taken a class in error analysis or statistics. Wow. Considering he has not evaluated any of the projected consequences that will arise from increasing CO2, this statement takes real chutzpah. 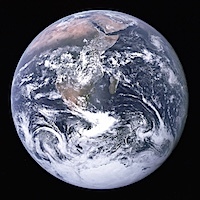 The author did not even address, much less offer any evidence to counter, the basic physics and chemistry that underpins the science of anthropogenic climate change. Basic science is in fact the strongest evidence FOR anthropogenic climate change, and is why we’ve known that increased CO2 leads to warmer temperatures for over 150 years. This has been repeatedly confirmed in laboratories and by observations. At this point the only two conclusions I can draw about Martin’s article is that Martin is either ignorant and/or being dishonest with the intention to mislead and misinform his readers. Those are the two options. The Bible calls us to love our neighbor, with a global definition to that (e.g., Luke 10:25–37; Matthew 22:34–40; 1 John 3:11–24). It also calls us to seek justice and take up the cause of the poor and the oppressed. We are called as Christians to pursue truth and not to misrepresent reality. Additionally, the Bible calls us to be good stewards of the world God has given us dominion over. Basic physics and chemistry tells us, and 100+ years of observations confirms, that climate change is happening, that it’s primarily caused by human activities in the last 150 years, and that it poses significant threats to human and ecological flourishing. Increasing atmospheric CO2 will lead to increasingly severe impacts of climate change, the brunt of which will be felt by poorer communities and nations. For instance, sea level rise is expected to displace millions of people, from low-lying island nations like the Maldives to low-lying, densely populated nations like Bangladesh. Destroying other people’s homelands because of our selfish addiction to fossil fuels (and outright deception of Christians about the nature and seriousness of the problem via shoddily reasoned articles like this one) doesn’t seem like a good way to love our neighbor, pursue justice, or steward our environment, does it? I implore my fellow Christians to not be taken in by the ignorance and deception put forward by Answers in Genesis and Rod Martin in the lengthy article I’ve reviewed here. When it comes to the science of anthropogenic climate change and the Bible, there is no conflict. The Bible does not promise us that we cannot inflict harm on our climate or environment. Physical and chemical properties of the CO2 and methane molecules and the other constituents of the atmosphere dictate that the earth will warm on average in response to increased concentrations of CO2 and methane, and that is exactly what we’ve observed over the past 100+ years. The scientific evidence in favor of anthropogenic climate change is truly overwhelming along multiple fronts, and to deny it is to not deal with reality as it is. Pursue and embrace the truth. If you want to learn about a topic, learn from subject matter experts (in this case, atmospheric scientists), not from people who have no credentials to indicate they have deep understanding of the subject matter. And in any discipline, including atmospheric science and climatology, there are many practitioners who are also committed Christians. These are the people who should be listened to if you’re concerned about what the Bible has to say about, say, climate change. I’ll leave you all with this video by Dr. Katharine Hayhoe, a climate scientist from Texas Tech University who is also an evangelical Christian and a pastor’s wife. She produced a video for her “Global Weirding” series of shorts about climate change on YouTube, entitled “The Bible Doesn’t Talk About Climate Change, Right?” I encourage you all to view it. Dr. Hayhoe provides a much more accurate, knowledgable view of the Bible and climate change than did AiG and Rod Martin. I hope this proves informative and helpful to many. Feel free to respond with questions or comments. 1. This was BY FAR the best debate of this election cycle. It wasn’t even close. The moderators asked good, pointed, relevant questions, and then got out of the way. Kudos to Cavuto, Bartiromo, and Baker — I’d like to see them moderate several more debates. 2. The longer time allotments for candidate answers and rebuttals was great. It allowed it to feel more like a real debate. It allowed some candidates enough time to put together coherent thoughts and arguments (especially Paul & Rubio), and exposed others who often rambled incoherently with more time (Trump, Kasich, Bush). 3. I really wish moderators would shut off microphones of candidates who do more than finish their current sentence when the bell rings. The worst offenders of the time limits were Kasich and Cruz (and to a somewhat lesser extent, Fiorina), and it was really annoying. Meanwhile, Paul, Rubio, and Carson all did a great job staying within time limits. 4. Rand Paul had his best debate by far. He had some great quotes, including, “We can be strong without being involved in every civil war around the world,” “Can you really be conservative if you support profligate defense spending?” and, “If you’re going to enforce a no-fly zone in Iraq, you need to realize that you’ll be shooting down Russian planes. Are you prepared to send your sons and daughters to yet another war in Iraq?” (Quotes are approximate from my memory.) I mostly like what I know of his tax plan, and he finally got a chance to talk about it tonight. But his tiff with Marco Rubio on defense spending was the most surprising and most memorable moment of the debate. I know a lot of my fellow conservatives poo-poo Rand Paul on foreign policy, but I really wish they’d actually listen to what Paul is saying and seriously think about it. In my opinion, you can’t have a serious plan to address the federal budget and national debt without substantially reducing defense spending *in addition to* reducing domestic spending. We have to take a both-and approach, not either-or. At the very least, Rand Paul’s ideas need to continue to be heard in these GOP debates. 6. Speaking of Ted Cruz, he had a couple good lines tonight, but his style gets on my nerves in a hurry. Anecdotes like he had really seemed out of place in a debate like tonight. That, and he’s dangerously ignorant on issues like climate change. 7. Speaking of climate change, Rand Paul got the only question on the issue. He did kind of okay with it, but on the plus side, he’s one of the only candidates who will actually acknowledge that climate change is a real thing and that humans are playing a role in it. 8. I liked Ben Carson’s deft handling of questions about his past, and how he pivoted to a slam on Hillary’s honesty, which everyone knows is non-existent. 9. John Kasich had a dumpster fire of a debate for the second time in a row. He was whiny, condescending, rambling, and incoherent in his far-too-frequent interruptions. He really should drop out before the next debate. Thankfully, I think he removed himself from VP consideration as well. 10. Donald Trump was a rambling, incoherent mess. Again. Why does anyone support this clown? He can’t drop out soon enough. 11. Having only 8 candidates on stage, instead of 10 or 11, also helped things greatly. Didn’t miss Christie or Huckabee one bit. Eight is still too many, but it’s progress. Hopefully by the next debate Kasich and Bush will be out or demoted, and we’ll be down to six. 1. Rand Paul. I’m not saying that he won the debate just because he’s been my #1 candidate all along, but I really thought he did great tonight, with really good, substantive answers. 2. Marco Rubio. He wasn’t quite as good as previous debates, but he was still better than everyone else on the stage except for Paul. 3. Ben Carson. He turned in his best overall performance so far, though it wasn’t nearly as good as Paul or Rubio. I think he’s a decent man, and I’d support him in a heartbeat in the general election against anyone the Democrats put forward, but I think he might be best as HHS Secretary or Surgeon General. 4/5. Ted Cruz/Carly Fiorina. Some good lines, but didn’t move the needle for me. I’m unconvinced they’d be good presidents, though both would be better than Hillary. 6. Jeb Bush. He is so incredibly awkward. He had his best debate so far, but it still was bad. Jeb is toast, and really should drop out before the next debate. As a meteorologist, the most common question I get asked is, “Are you going to be on TV?” The second most common question I get asked is, “What do you think about global warming/climate change?” This is the question I want to write about here. And to be honest, my thoughts on global warming have gradually done pretty much a 180 over the past 10-15 years. Back when I was in high school (1997-2001), I was convinced that anthropogenic (human-caused) global warming was a hoax. I honestly did not find the evidence to be compelling, and I thought natural variability better explained the data. I was so convinced that the case for anthropogenic global warming was a hoax that I wrote an 8-minute mostly-memorized oratory speech for Forensics in 1999, where I laid out what I thought was good evidence that it was a hoax. I even earned a perfect score with my speech at the State Forensics Tournament in Madison that year. My opinion gradually started to change after I began graduate school for meteorology at Penn State University in 2005. Learning more and more about the fundamentals of atmospheric physics, along with seeing several more years of observations of the earth system come in, began to make me doubt my certainty that global warming was all due to natural variability. Now I am convinced that not only is global warming happening, but I think the evidence indicates that human beings are almost certainly at least partially causing it. There certainly have been ups and downs in global average temperature throughout history that were entirely natural, but we are most certainly adding an additional component of warming onto the internal natural variability of the climate system. 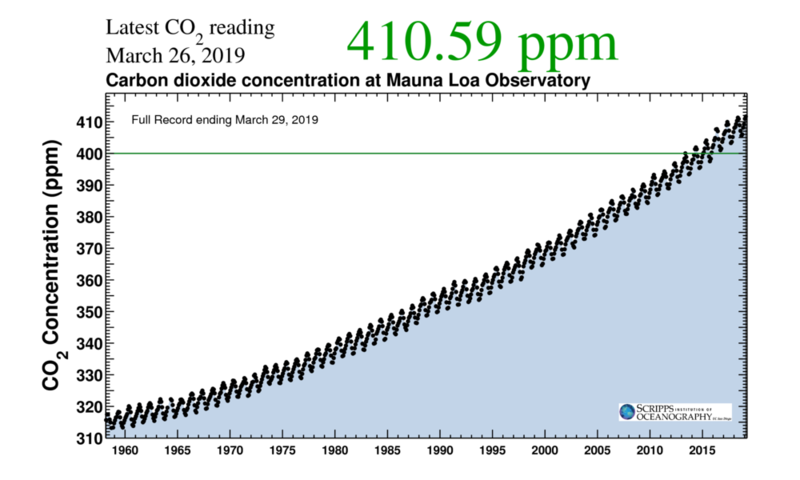 We know from measurements on Mauna Loa in Hawaii that the atmospheric concentration of carbon dioxide (CO2) has been steadily rising since measurements began in 1958 (at about 315 ppm) to today (about 402 ppm, or about a 30% increase in 60 years). The increase in atmospheric CO2 concentrations is due almost solely to human activities, such as the burning of fossil fuels (coal, oil, natural gas), deforestation, and the like. 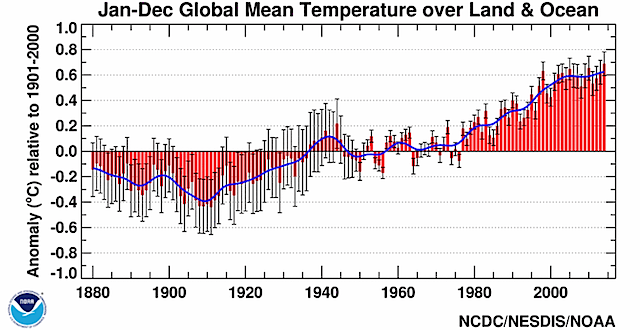 We also know from temperature records that the global average temperature has warmed about 1ºC (or about 2ºF) during the 100-150 years or so over which we’ve taken measurements, with a couple 20-30 year interruptions in that overall warming trend (more on that later). We know from physics that molecules of carbon dioxide and methane both quite effectively absorb and re-emit heat (longwave radiation, technically). The wavelengths of radiation at which they most effectively absorb and re-emit happens to correspond to bands that are known as “atmospheric windows” — wavelength bands to which the atmosphere is generally transparent, and through which the Earth vents much extra heat into space, to keep the Earth system in radiative balance. However, as we add more and more CO2 and methane to the atmosphere, those atmospheric windows become less transparent, and more heat is, in essence, trapped. 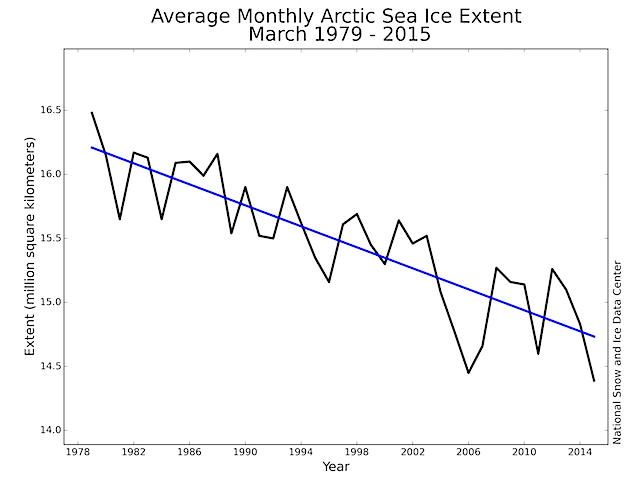 All else being equal, this has the effect of warming the Earth’s surface on average over a period of decades. To complicate matters there are several positive and negative feedback processes which amplify and counteract that basic, foundational signal. But, the basic effect is most certainly warming at the surface. 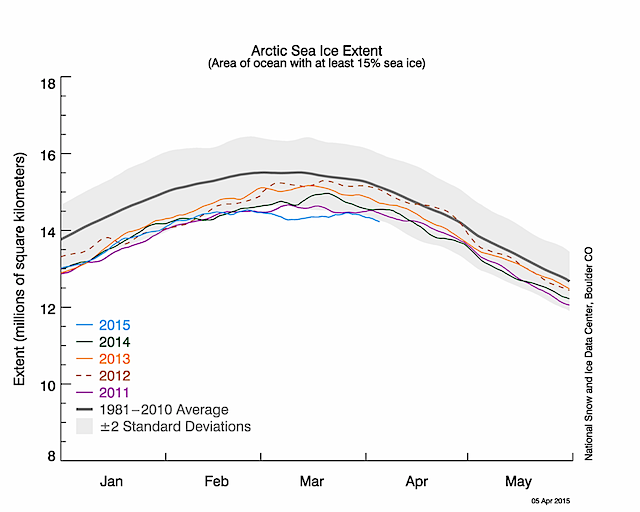 Back to the 20-30 year cooling interruptions we’ve seen periodically. Yes, the Earth cooled from the 1940s to 1970s, but that was from emitting lots of particulate pollution (coal dust, other things) into the atmosphere during a manufacturing boom, which had the effect of reflecting sunlight to space and cooling the planet. Eventually those particulates settled out of the atmosphere, and we started sending less of those pollutants up into the atmosphere (because we got tired of breathing in smog and dirty air), but the CO2 remained — its atmospheric lifetime is not a few weeks or months like many particulates, but rather hundreds of years. And the current hiatus we’ve seen since about 2000 is probably due to several factors, including somewhat less incoming radiation from the sun, a lot of heat getting stored in the deep ocean because of various ocean currents, and various large-scale, natural multi-decadal atmospheric climate oscillations that occur over large sections of the planet and interact with each other. That hiatus is not likely to last more than a few more years, as these natural climate oscillations flip back into their other modes. All those things would likely normally have cooled global average temperatures, were it not for the high and continually-increasing CO2 concentrations in the atmosphere, which are acting to warm temperatures at the surface. In the past 15 years those effects have essentially canceled each other out, but we’re still stuck with being on a plateau at the warmest we’ve been in the past 150 years. By itself this is not proof that global warming is happening, and while it is true that the Arctic Ocean has been ice-free occasionally in the past, long before the Industrial Revolution, decreasing Arctic sea-ice extent is definitely something we would expect to see in a warming world, along with steadily receding glaciers (which we also see around the world). In summary, I believe that the evidence is now overwhelming that global warming: a) is really happening, and b) that it is at least partially caused by human activities. What to do in response to this evidence to attempt to mitigate or adapt to future climate change is another topic entirely, and that is where politics enters the discussion. Any mitigation/adaptation strategy has its pros and cons, but what is certain is that in the absence of significant reductions in global carbon emissions soon, the planet will continue to warm. That conclusion is not the result of some vast conspiracy, and it does not depend on the predictions from climate models (many of which have serious flaws) – instead, that is what basic physics tells us. My fellow political conservatives who still think global warming is a hoax would be well served to seriously consider the evidence. Instead of rejecting the scientific evidence because of a distaste for current policy proposals, it would be better to improve or develop better policy proposals in response to the scientific evidence. The NCAA’s sanctions against Penn State are over! News broke on Friday that a settlement had been reached in the lawsuit brought by Pennsylvania State Senator Jake Corman and State Treasurer Rob McCord against both the NCAA and Penn State University. That’s right, Penn State was a co-defendant along with the NCAA in this case, but you wouldn’t know that from most of the media reports about the settlement. But I digress. A $60 million fine over 5 years to fund child abuse awareness non-profits nationwide. A post-season ban for the 2012-2015 football seasons. Football scholarship reductions (reduced from 25/year to 15/year from 2012-2016, with a reduction from 85 total scholarship players to 75 in 2012, 65 in 2013-2015, and 75 in 2016, before returning to the full complement of 85 players in 2017). The vacating of all 112 football victories from NCAA record books by Penn State from 1998-2011. This also reduced Joe Paterno’s career victories total from 409 to 298 in official NCAA records. Free agency for all Penn State football players until the start of the 2013 season. This meant they would not be required to lose a year of eligibility for transferring to a different school. Basically, the NCAA intended to make Penn State into a smoking crater. But they did not ultimately succeed, largely because they did not have the legal authority to levy sanctions in this case. After the initial public and media support of the sanctions (in the name of “doing something”), the tide started to shift against the NCAA as more people realized the facts of the case and what was really going on. In September 2014, after the start of the football season, the NCAA announced that they were lifting some aspects of the sanctions early, including the post-season ban and the scholarship reductions. However, the fine would remain, as would the vacating of all 112 of Penn State’s wins from 1998-2011. Anyway, back to the Corman/McCord lawsuit against the NCAA and Penn State. The judge presiding over the case rejected the NCAA’s motions to dismiss the case, and allowed the case to proceed to the discovery phase. 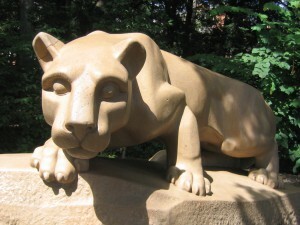 During discovery, a multitude of internal NCAA emails were attached to public court filings which indicated that NCAA administrators felt that they had to “bluff” Penn State into accepting the consent decree, as well as internal disagreement over whether the NCAA even had jurisdiction to enforce sanctions against Penn State in the first place for a criminal matter that did not actually have any bearing on games, student-athletes, or prospective student-athletes. The NCAA was being exposed for the slugs that they are, and it was becoming clear that they were going to lose the Corman/McCord case in court, and that the entire consent decree would be declared illegal. So then on Friday of last week (16 Jan 2015), a settlement was reached in the case. In the words of State Sen. Corman, “The NCAA has surrendered.” And that seems to be an accurate portrayal of what happened. The settlement, which voids the consent decree signed by PSU and the NCAA in July 2012, was unanimously accepted by the Penn State Board of Trustees and the NCAA Executive Committee on Friday. The settlement requires Penn State to publicly acknowledge the NCAA’s “good faith” interest and concern on the Sandusky scandal (but notably, does not affirm the NCAA’s authority or jurisdiction to issue sanctions in this case), and to enter into a new Athletics Integrity Agreement with the NCAA. In return, the NCAA agreed to the plaintiff’s central request that PSU donate (or pay a fine??) $60 million to a fund managed by the Commonwealth of Pennsylvania for the benefit of child abuse awareness and prevention. By voiding the July 2012 consent decree, the NCAA also restored all 112 wins from 1998-2011 that the NCAA had vacated. 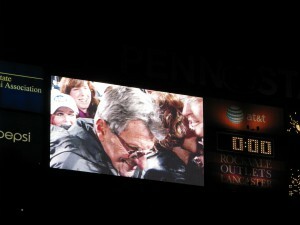 This made Joe Paterno once again the winningest coach in college football history, with 409 career wins. Even though Penn State was a co-defendant with the NCAA in the case, this was a huge victory for Penn State and a huge defeat for the NCAA. The NCAA has now backed off of every single aspect of the sanctions it originally levied in July 2012. The only aspect that remains is the $60 million fine/donation by Penn State, which is actually the only part of the sanctions that I thought was wholly justified in the first place. (In addition to the criminal and civil court actions that have been brought against PSU, and repercussions from the U.S. Department of Education stemming from violations of the Clery Act.) And now that the fine is going to the Commonwealth of Pennsylvania, the money will be able to be disbursed much more effectively, efficiently, and quickly than if it had found its way into the coffers of the corrupt NCAA in Indianapolis. I seriously question how much of the money would have even escaped the clutches of the NCAA if they had been allowed to administer the fine. So what effect did the sanctions have while they were in place? First, a few players did transfer, but most players did stay, and the sanctions actually had the effect of galvanizing the entire Penn State community. Though the teams in the 2012 and 2013 seasons didn’t win any championships, and went 8-4 and 7-5 respectively, the character, class, loyalty, and honor displayed by those teams made me immensely proud to be a Penn Stater. Inside Beaver Stadium, the 2012 team is deservedly honored right alongside PSU’s undefeated and championship teams in its ring of honor. Second, the loss of depth created by the scholarship reductions was most severely felt in the 2014 season, which began with a limit of 65 scholarship players. For some games this season, Penn State had only 48-50 healthy scholarship players dressed and able to play, compared to 85 on most other teams. That put them at a severe competitive disadvantage. There weren’t many subs for any position, which wore down the starters over the course of the season, and inexperienced true and redshirt freshmen were thrust into prominent roles before they were ready, which showed on the field with an offense that struggled mightily to move the ball and score. Even so, Penn State managed a 7-6 record after beating Boston College 31-30 in OT in the Pinstripe Bowl. Third, the vacated wins were a huge point of contention for Penn State fans like myself, who thought it ridiculous that PSU would be stripped of wins as far back as 1998 for several reasons. The biggest reason is that this abhorrent scandal had absolutely nothing to do with any student-athlete or prospective student-athlete, and had no impact on competitive balance on the field. It is utterly meaningless to vacate victories that actually happened (and incidentally, many of which I personally witnessed, including Paterno’s 400th career victory in 2010) in the absence of something that impacts competitive balance on the field. And then it’s also worth recalling that Child Protective Services and the Pennsylvania State Police investigated a complaint against Sandusky in 1998, but the district attorney declined to issue an indictment because of insufficient evidence to secure a conviction. So what exactly was the justification for punishing Penn State for a man’s crimes when the state police and district attorney found insufficient evidence to prosecute, or when there is still no proof that Paterno was aware of the investigation until years later? If the NCAA would have simply vacated wins going back to 2002 when McQueary witnessed one of Sandusky’s evil acts and then two or three former Penn State administrators (Schultz, Curley, and Spanier) proceeded to sweep McQueary’s report under the rug, that would have been somewhat more defensible for the NCAA. However, going back to 1998 showed that they were being purely vindictive, facts be damned. But now, even with the sanctions having been voided, the Paterno family is (for now, at least) continuing their lawsuit against the NCAA for defamation. It will be interesting to see how that case progresses. All along I have been hoping that the truth, no matter what it is or how many people get implicated with guilt, would come out. Hopefully that case can continue to expose more of the truth of what the NCAA did, and hopefully more of the public will be willing to open their ears and eyes to understand what really happened, and to pin guilt on those who are actually guilty. And above all, hopefully this terrible scandal that brought shame on my university will help people everywhere be more aware of warning signs of abuse to look for. Child predators like Jerry Sandusky are often quite winsome and charming, and not even their closest associates or next-door neighbors have any idea what’s actually going on. That’s how they are able to continue their predation, because nobody suspects anything. But if anyone has any evidence that suggests that someone might be abusing children, people need to not sweep it under the rug or look the other way, but instead talk to the police. And then we have to trust that the police and the legal system will do their work properly, even though this case is sadly evidence that that does not always happen. So what finally prompted me to download the Instagram app and sign up for an account? Some kid in Virginia who shares my name has been trying to associate my email address with his account repeatedly over the past couple days. After getting the third email about it (and disassociating my email from his account three times), I created my own account (jared_a_lee), found his profile (jared9lee), and left a comment on one of his photos kindly asking him to use his own email address for his account and stop trying to use mine. You would think that that would’ve stopped him, but the next day he tried to assign my email to his Instagram account again. So I rejected that and then left another comment on his Instagram. Then he signed up for an account with Origin/EA gaming and linked it to his PlayStation account he also just signed up for a day earlier, which prompted another comment by me on his Instagram photo. The only options available to try to contact customer service for both companies was to use login information and then wait a long, long time for a CSR to live-chat me — just the way I wanted to spend part of my New Year’s Eve. The Sony CSR was thankfully quite helpful, however, and provided me with an email address, subject line, and instructions on what I should include in the body of my email to a specific department in order to get this issue resolved. Hopefully that’ll get resolved tomorrow when people are back at work. Origin/EA was another story, however. The first CSR I live-chatted with last night was rude and dismissive, and his only real advice to me was to “get a different email address.” Umm, no. I’ve had this email address for 10 years or so, and I’m not going to get a different email just because some twit has started using my email on his accounts. Then he started asking me for the answers to this other kid’s security questions to prove my identity. This CSR was totally clueless! I told him that the only reason I was able to even log in to the customer service live-chat was that I was able to initiate a password reset/change — because he had used my email address for his account. (I would’ve reset the password on the Sony account too, except they require the account holder’s birthdate to do that.) Anyway, the Origin/EA CSR I was able to live-chat today was more helpful, but still only told me that I had to initiate a “call me” help session sometime after their call center returns from their holiday break. Ugh. So annoying. Hopefully I’ll be able to get my email banned from all accounts on their site tomorrow. This is the actually the second unique person who’s tried to use my email address to sign up for all sorts of stuff. The other is a school teacher in Canada named Lee, who three years ago swore that Google let him sign up for my email address (minus the dot, but gmail ignores punctuation in email addresses, so they’re equivalent), and that he set up forwarding from that (my) account to his other email address. He did that because he wanted a “more professional” email address when applying for jobs than his When I asked him to change that setting, he said he couldn’t because he “couldn’t remember” the password to his (my) gmail one. Umm, riiiight. I’ve been getting occasional stuff for him (or his kids) for three years now, because for awhile he put it as the reply-to address in a bunch of emails he sent, thinking that he’d receive them. I even got a LinkedIn invite from him a bit over a year ago, lol.